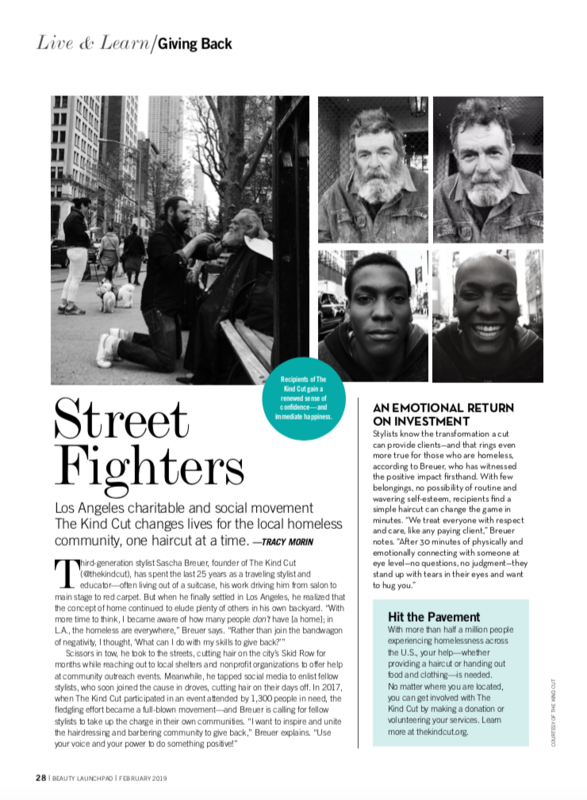 Beauty Launchpad published an article about the charitable and social movement “The Kind Cut“. 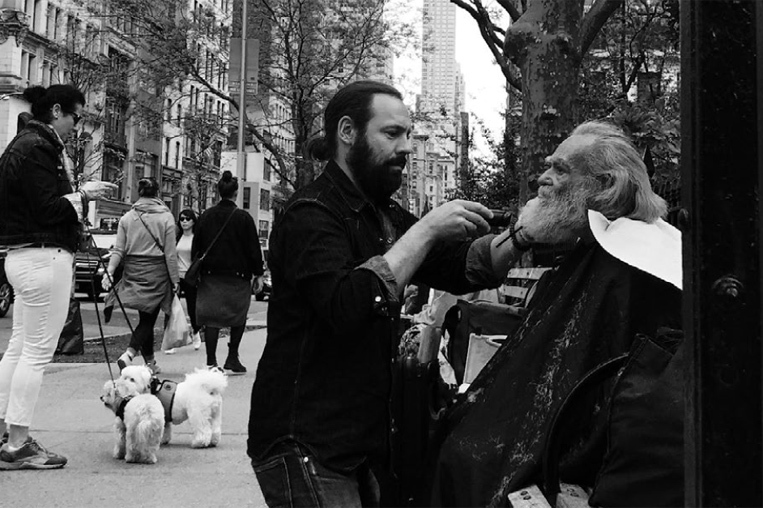 Hair stylist and founder Sascha Breuer thought of what he can do to help homeless people – during his days off, his scissors with him, he’s cutting hair at the streets, changing lives and giving joy. He wants to inspire and unite the hairdressing and barbering community to give back.